Spring/Fall - This jacket is made from Ultrex, which is Supplex with a micro-porus coating that is windproof, durable, and absolutely WATERPROOF . 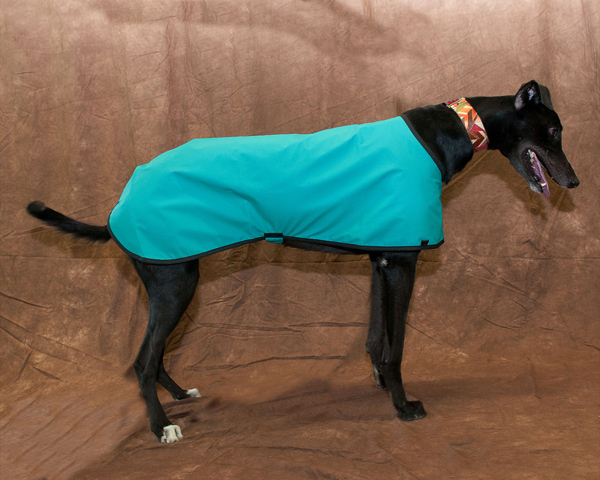 We selected it for Greyhounds because it is breathable; dogs wont sweat in it on rainy days, yet they'll stay dry. It's also the perfect jacket for spring and fall to protect them from biting winds and rain. Mesh lining allows air to circulate while keeping the wind out.